Every member of our team has at least 15 years of experience in strategic sourcing and procurement leadership. We have led multiple strategic commodity and supply chain teams that have driven results in cost reduction, cross-functional category management, supplier performance management, logistics and new market planning, and process/system implementation. Members of our team have consulted with several companies, including those restructuring their global operations. As Practitioners, we have held strategic positions at GE, PepsiCo, Lucent Technologies, Accor Group, American Standard, Amerisource Bergen, Vivarte, Yum! Brands, i2 Technologies, Asea Brown Boveri, HP, EDS, and FedEx Office. Our areas of expertise include corporate sourcing strategy development, knowledge development and training, supplier qualification and selection, supply chain optimization, logistics, legal issues, contract structuring and negotiations, and tax/customs management. We have a truly global team, with resources in multiple US cities, Singapore, China, and across Europe. 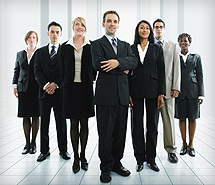 Our team has language proficiency in Mandarin Chinese, Spanish, Portuguese, French and German. We have conducted numerous courses focused on sourcing strategy, procurement skill-set development, manufacturing optimization, and supply chain excellence within corporate environments, as well as M.I.T., Rutgers University, and Lucent’s Technical Training Center. Angela Easterwood has over 17 years of experience in strategic sourcing and supply management, with a proven track record in category strategy development, collaborative business process redesign, supplier identification and assessment, total cost analysis, and the implementation of Policies and Procedures to support procurement transformation. Angela has developed category supply strategies for a wide range of product and service groups (across both direct materials and complex services), and specializes in aligning cross-functional business requirements into sustainable category and spend management strategies. She has held leadership roles at PepsiCo, Yum! Brands, i2 Technologies, EDS, and FedEx Kinko’s Office and Print Services. Angela has an MBA in Finance from Southern Methodist University and a BA in Economics from Bucknell University. Angela has developed and taught professional level strategic sourcing and supply chain management skills courses in the US and Asia, and is on Faculty at the University of Tennessee’s Center For Executive Education Strategic Sourcing program. Donna Massari has 20+ years of experience in global sourcing and strategic supply chain management, working with Fortune 500 and midsized firms around the globe. She has held strategic leadership positions with a proven record of demonstrating end-to- end business strategy, international expertise, and breadth across industries and categories of spend, all being complimented with strong commercial acumen. Donna has a proven track record of building and inspiring diverse, global teams that link procurement strategy and deliverables to corporate goals. Her breadth of experience includes both direct and indirect manufacturing, chemical operations, facilities services, utilities, sales operations and IT Kanban systems. She is a Certified Deal Architect with the University of Tennessee and now provides training to corporations on the methodology of Vested Outsourcing and “WIN-WIN” relationship contracting. She has been recognized by Supply Demand Chain Executive magazine as one of its “Pros to Know” and is ISO9000 and 6-Sigma Certified. Donna’s has an engineering degree from the University of Pittsburgh, mathematics degree from St Vincent College, and MBA from Purdue University. Her career portfolio of company leadership positions include: GE,Honeywell, Reichhold Chemicals and Lexmark Printers. Elizabeth Zucker has nearly 20 years of driving strategic supply management results. A collaborative servant leader, she brings a wealth of knowledge gained from her roles at companies as diverse as KFC and Pizza Hut, Lexmark Printers and Cigna Insurance. She has developed and implemented strategic sourcing initiatives across all aspects of the spend spectrum, from direct commodities materials to strategic services contracts, and has worked on both international and domestic assignments. A proven thought leader, Elizabeth has published articles in Inside Supply Management and eSide magazines, and has been a featured speaker at ISM Dallas, the International Trade Center of Dallas and Entrust’s Security Solutions for the Supply Chain series. She earned her MBA at Georgetown University and her BA at Wellesley College. Michele Coquis has over 25 years of experience in the IT, Professional Services, and Telecommunications industries as a consultant and also at Director levels of Fortune 200 companies. As a Category Director of a $2.3B global labor and professional services spend, her responsibilities included strategy development, sourcing, category management, contracting, supplier management, and operation of one of the largest technical, professional services, administrative, and call center buys in the industry. Subsequent experience in large scale workforce planning, competency development and analytics enables Michèle to advise clients on optimizing all components of their workforce. During her career, Michèle has performed roles in the US, Europe, and South America supporting clients in industrial manufacturing, government, military, chemicals, financial, health care, communications, and retail industries. Michèle is a Certified Vested Deal Architect and is bilingual in English and Spanish. Steven Symmes has over 30 years experience in supply chain management. Steve is a recognized thought leader and strategic thinker in the area of supply chain optimization, sourcing, outsource contracting, operational assessment and Vested (outcome based, collaborative contracting) methodology. Steve’s passion is helping companies improve their supply chains and supplier relationships. He develops and redesigns business solutions that deliver significant paybacks for clients. Steve has proven operational and consulting experience in start-up and high growth companiesacross many industries. Steve has wide-ranging global operational and consulting experiencewith leading companies such as Microsoft, HP, Johnson & Johnson, ConvaTec, IBM, Dell and many leading 3PL providers. Steve is a Certified Vested Deal Architect and instructor. Steve holds a MBA and BA from the University of Colorado. In addition to our strong bench strength, The Forefront Group has established alliances with several leaders in the international supply management space. Our alliances serve to augment our impact across the full spectrum of our Clients’ business needs, to include supply chain and logistics planning as well as supply chain and planning software and tool implementation. We are a Certified Vested Center of Excellence, and provide guidance and tools for the development of the Seven Core Sourcing Business Models, including supplier relationship management and collaborative contracting. Copyright © 2016 The Forefront Group. All Rights Reserved.